Cultural Maturity—A Blog for the Future brings mature, big-picture perspective to the important questions of our time. It is a contribution of the Institute for Creative Development, a Seattle-based, non-profit, non-partisan, think tank and center for advanced leadership training. It is designed to support the sophistication of understanding and decision-making needed if we are to have a vital and creative human future. I have now completed work on a new three book series (a ten year effort). Each book has similar intent—to help us make sense of the times in which we live and make sense of what the future will require of us—but has a slightly different focus and is written for a different audience. 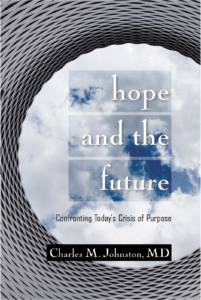 Hope and the Future: An Confronting Today's Crisis of Purpose (ICD Press, 160 pages) presents a brief but provocative examination of what hope for the future necessarily depends on. It introduces the concept of Cultural Maturity by examining critical questions and challenges today confronting us as a species. It describes how effectively addressing many of these new questions and challenges will require new human skills and capacities—new ways of thinking, relating, and acting. 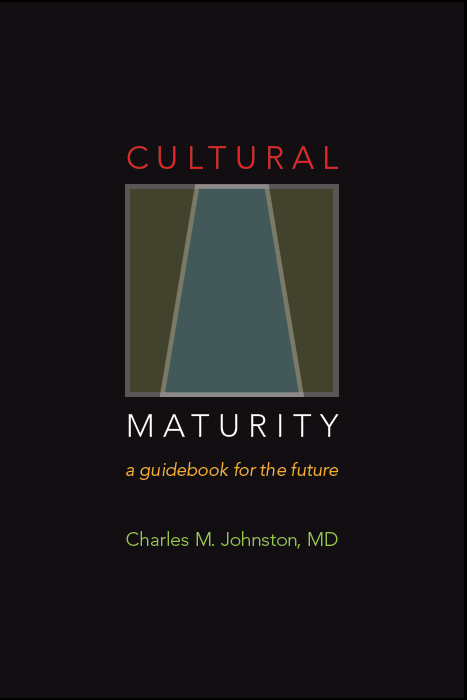 Cultural Maturity—A Guidebook for the Future (With An Introduction to the Ideas of Creative Systems Theory) is a lengthier effort (640 pages) intended for those seriously interested in developing the new capacities that leadership in times ahead will require in all parts of our lives. It closely examines the changes that the concept of Cultural Maturity predicts and addresses how these changes are already beginning to alter our human landscape. And it introduces Creative Systems Theory as an important example of culturally mature conception. Quick and Dirty Answers to the Biggest of Questions describes how the new kinds of understanding we need today not only helps us address modern day challenges, they also bring a new maturity and creativity to the more ultimate sorts of questions. It is intended for people who find particular fascination in overarching theory. Front Page NewsPosts that have direct tie-ins to current front burner issues. Anything we include will also have long-term, big picture significance. Either the issue itself or the underlying learning the post reflects should have as much or more pertinence ten years from now as it has today. The Big PictureBig Picture posts include contributions of a more overarching or conceptual sort. Ideas may have their origins in the thinking of any cultural sphere or conceptual persuasion, but they share that they contribute in some significant way to culturally mature understanding. On occasion, posts will specifically introduce notions from Creative Systems Theory. ReviewsThe reviews section includes reviews of books, movies, music, plays, art exhibits, or other blogs. The purpose of this section is both to support culturally mature work and to offer compare and contrast reflection that can help fill out culturally mature understanding. Cultural ImmaturityThe Cultural Immaturity Section includes commentary on current writings, policies, and human activities that fall short of the demands of Cultural Maturity. They may fall short in particularly dangerous ways or warrant commentary because how they fall short provides particularly useful learning. Comparison offers one of the best ways to deepen understanding of Cultural Maturity and to separate the wheat from the chaff in our thinking. General Questions & CommentsGeneral Questions and Comments posts are drawn either from emails directed to the editor (send to ICDPressinfo@gmail.com) or from responses to posts in other categories. General Questions and Comments can address concerns of any sort. “Looking to the Future” PodcastsCharles Johnston has future plans to produce a regular podcast. In the meantime, for those who like a “radio” format, here are three audio files that introduce key Cultural Maturity-related topics (adapted from educational vidoes). © 2019 Cultural Maturity. All rights reserved.